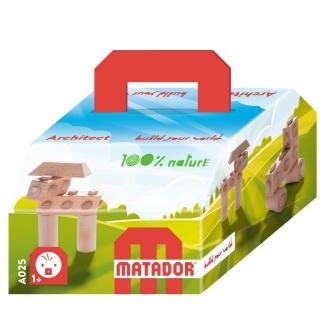 MATADOR Architect is a 100% natural product. 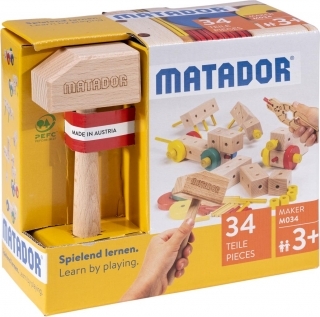 It is made exclusively from untreated copper beech wood – without toxic varnish or other harmful materials. 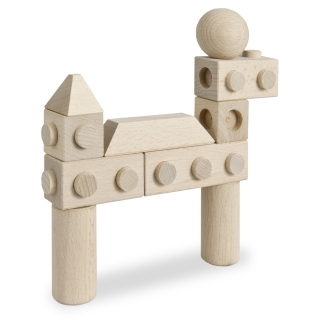 The building blocks were specifically developed for children 12 months and older. 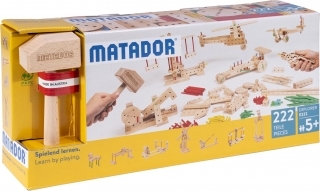 They can be connected and disassembled effortlessly. In this way, three-dimensional building becomes possible even for the youngest. 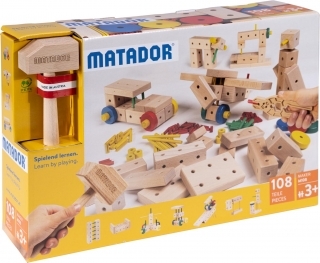 This promotes motor skills, creativity and spatial perception. 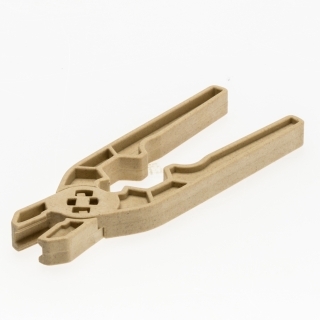 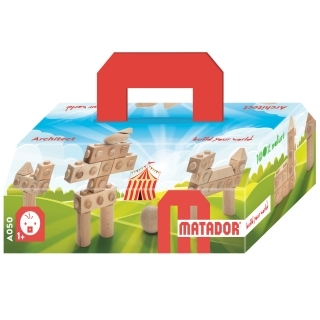 The connecting elements of this patented construction set are designed so that the individual building blocks are not fixed, but rather loosely connected when stacked on top of each other. 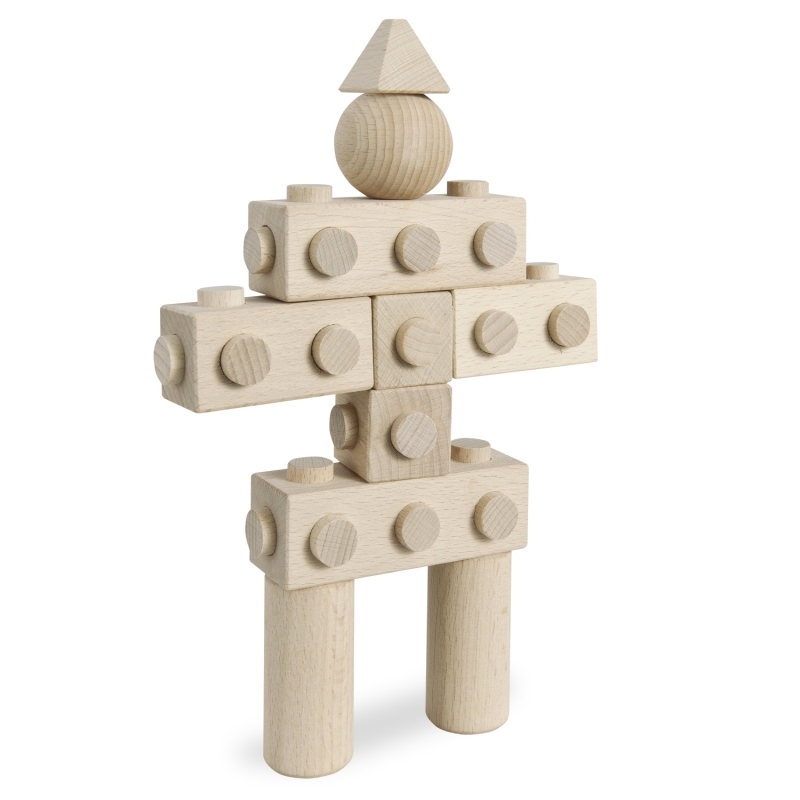 The nobs and slots serve to simplify stacking and help children create structures in just a few tries. 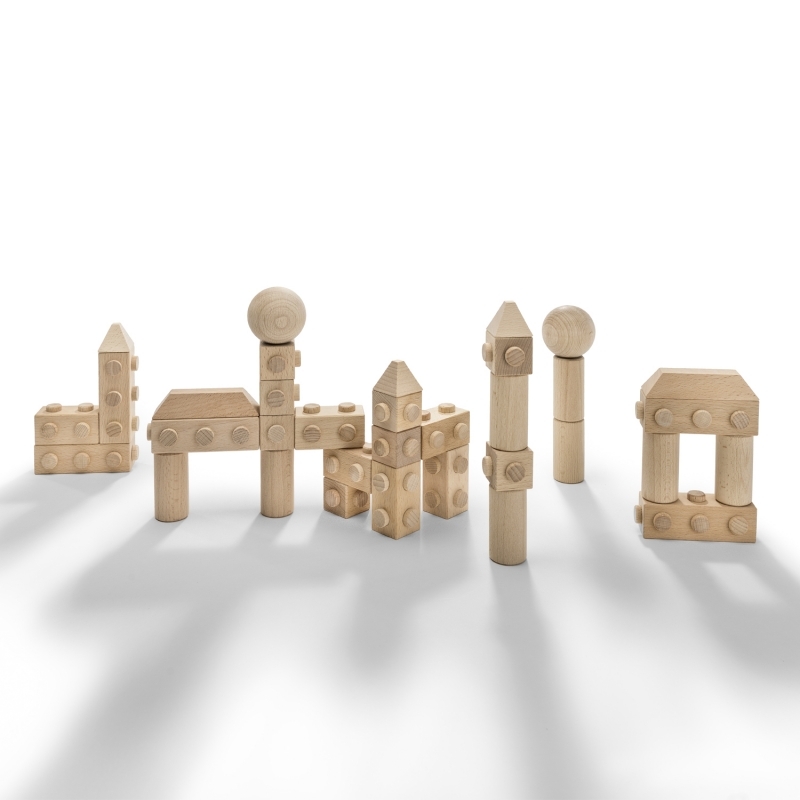 Clear shapes and easy use lead to a quick and important sense of achievement. 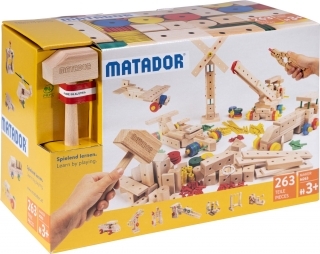 Upon toppling the structure, it will fall apart, and creativity will be required anew. 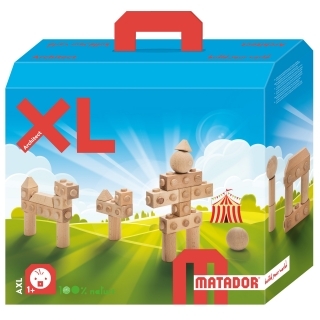 Matador Architect is a pedagogic first toy and its various shapes encourage children to build and play.